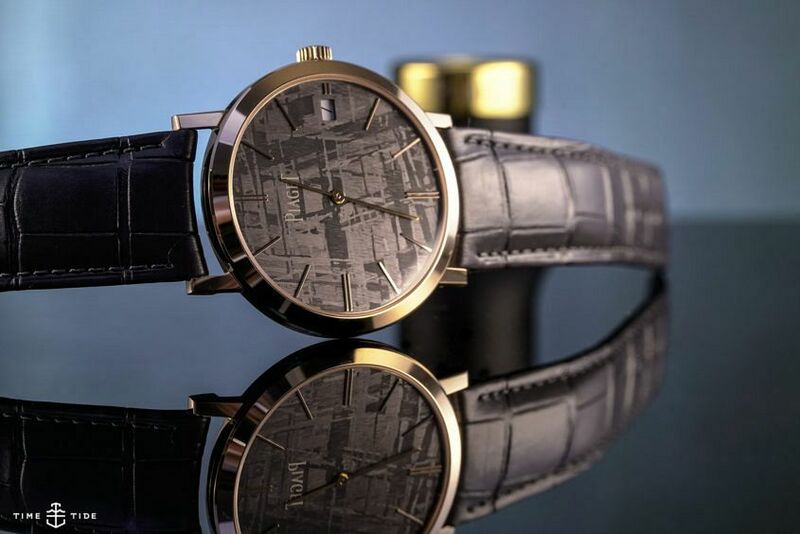 Adding variety in the world of ultra-thin watchmaking is tricky. Because in this space, additional complications typically equals extra thickness — and that defeats the aim of the exercise. 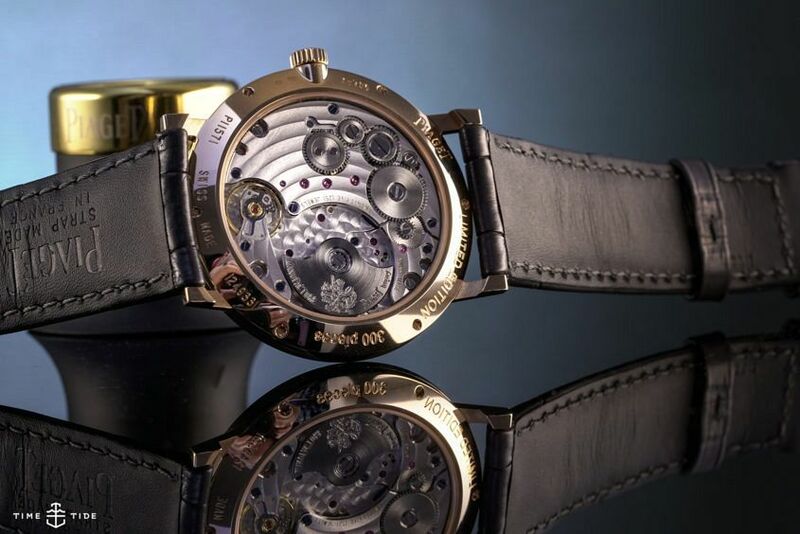 So instead of working on altering the mechanics, you change the aesthetics, which is just what Piaget has done here with these new additions to the Altiplano family. Before we take a closer look at those spectacular dials, a quick recap on this particular Altiplano. At 40mm across, and with a very simple, traditional round case, this watch is dressy by design. The incredible thinness of 6.5mm makes it almost unimaginable that this watch would perform any other function. The movement is quite special, the 1203P is 3mm wide, handsome, and powered by a micro-rotor that gives it up to 44 hours of go. But back to those dials. They’re incredibly slender slices of meteorite, cut to reveal the distinctive and unique crystalline structure, formed over thousands of years of floating silently through space … which is wild, if you actually think about it. Out-of-this-world origin story aside, the physical look of these dials is strong (even taking that white date window into account). The patterns in the iron-nickel heavy material (which are revealed through an acid-treatment) are compelling, endlessly intriguing, and — now, this might just be me — have something of a ’70s flavour to them, something that Piaget in general seems quite down for. 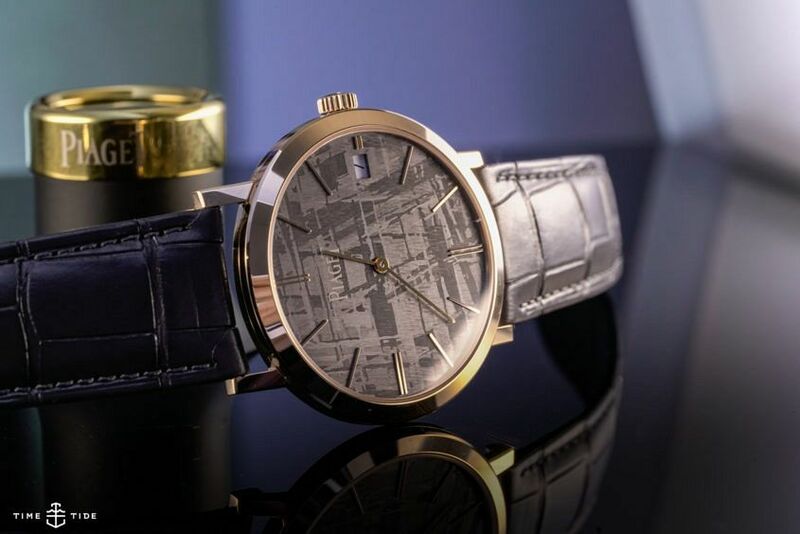 Now, we looked at two different dial colours: a grey anthracite number paired with a red gold case, which I suspect will be the crowd favourite, and a hot ticket given it’s limited to 300 pieces, but I was quite partial to the slightly flashier gold-toned dial. There’s also a blue version, which adds diamonds and a tourbillon into the mix. 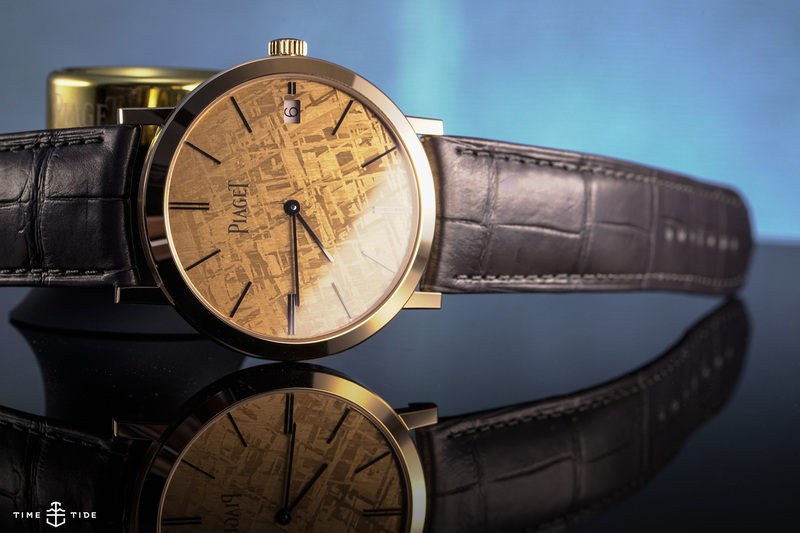 Whichever flavour you prefer, you can’t deny that working with such an unforgiving dial material on this watch further proves Piaget’s prowess in the ultra-thin field. 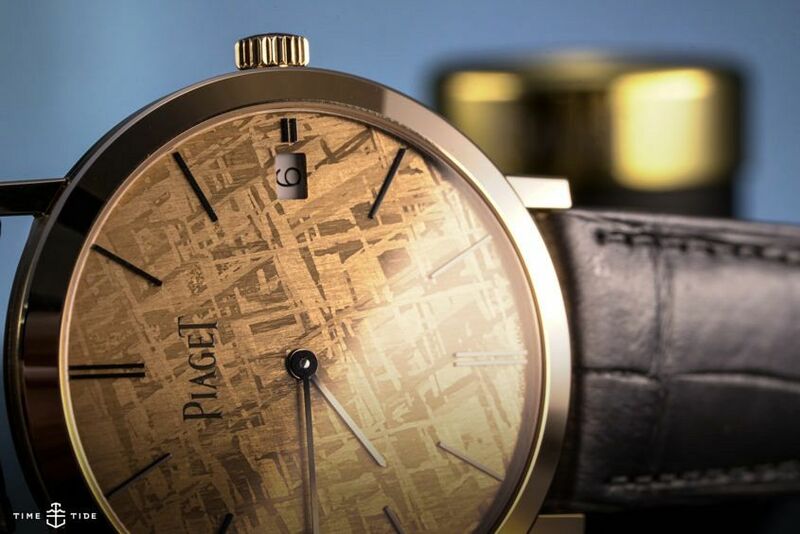 Piaget Altiplano with gold meteorite dial, $43,200; with grey meteorite dial, $41,600. Available from Piaget’s Melbourne boutique.